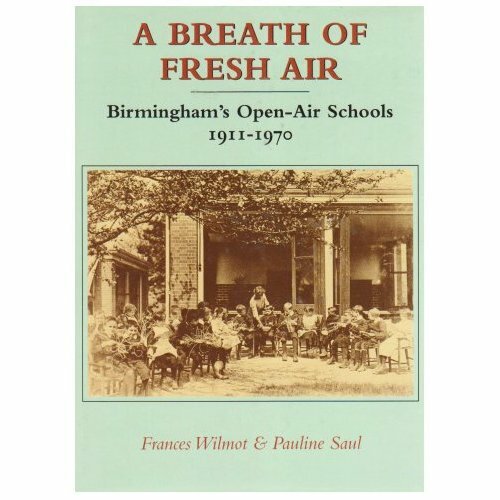 From 1925, Birmingham began opening Open Air Schools. By 1958, the city had six schools – Uffculme (day school), Cropwood, Hunter’s Hill, Marsh Hill (day school), Haseley Hall and Skilts. By 1986, all Birmingham open air provision had stopped. Barrow and Geraldine Cadbury were the real makers and shakers in terms of open air provision in Birmingham, bringing the idea to attention of the city and gifting the land and buildings for the first schools. The schools were initially intended for children who had serious illnesses such as TB (tuberculosis) or who were otherwise considered delicate. It was thought that fresh air and outdoor exercise was the best thing for these children and thus classrooms and sick rooms were built with large verandahs or completely open to the elements, and nap and recreation times were held outside. As we developed means of treating and preventing these serious illnesses, the proportion of children who had illnesses was reduced until the point was reached after the Scond World War when open air provision throughout the country began to be phased out. Scroll down to find information about each of the six schools. The Uffculme building next to which the open air school was built. Uffculme, on Queensbridge Road in Moseley, Birmingham, opened as an open air school in 1910 on land given by Geraldine and Barrow Cadbury family for the purpose. 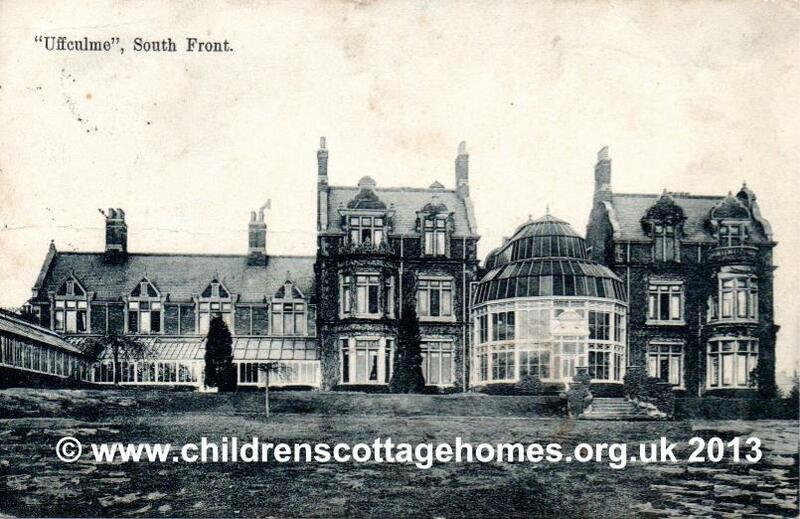 At the time, the area was relatively non-urbanised and thus a healthy place for sick and frail children. It is now, of course, a very built up part of the city. In the 1950s, this day school changed purpose taking in fewer sick children and more children with special needs. 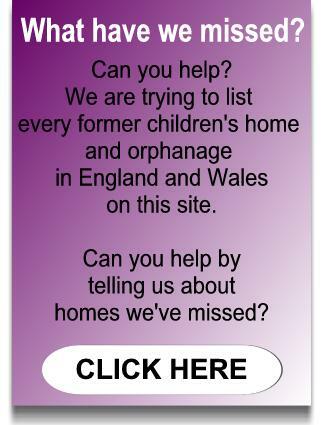 The school still stands and now teaches children with autistic spectrum disorder. A site plan of the School can be found here. And here is news of a recent reunion. Cropwood, opened in 1925 and gifted to the Education Committee by Geraldine and Barrow Cadbury was surrounded by wood and meadowland in the Lickey Hills. This residential school included a farm (which provided some income for the school), an open air swimming pool and a sleep-time garden. The children attending the school were aged between nine and 13 and each stayed at the school for around six months, depending on their particular health needs and recovery times. In 1980, Cropwood was amalgamated with Hunters Hill School which was built near to it in 1933. Hunters Hill still functions as a school for children with special needs. Unlike Cropwood, Marsh Hill was opened not as a residential school but as a day school, designed to take in 200 children. It was opened in Erdington in 1931 by Sir George Newman. (A Cadbury family connection still exists as Sir George was a friend of Dame Elizabeth Cadbury who was a very prominent figure in Birmingham's education at the time). Marsh Hill closed in 1974. Hunters Hill was built on land near to Cropwood at Blackwell. it was opened in 1933 and could accommodate 120 boys. The classrooms and dormitories were built around a square courtyard on which opened wooden verandahs. In 1980, it amalgamated with Cropwood and the school still functions as a school. The school opened as Haseley Hall Residential School for Boys in 1942 in a late eighteenth century mansion, Haseley Hall on Birmingham Road, Wroxall, Warwickshire. Previous owners of the Hall had included Sir James Sawyer, an eminent nineteenth century physician and W & T Avery Ltd the company that made weighing machines and the Birmingham Society for the Care of Invalid Children a charitable organisation which used the Hall as a convalescent home in the 1930s. In 1941, the Birmingham Education Commmittee took over the Hall and opened it as Haseley Hall Residential School for Boys in 1942. 40 boys could be accommodated in the school. The first head was Miss Charlton who was in post 1942-47. The boys were encouraged to play sport including football, rounders and cricket. There were also climbing frames and swings. Most of the staff, including the nurse, were residential but some domestics and cooks lived nearby. In 1947, Miss Urquhart took over as head. Haseley Hall Open Air School finally closed its doors as a school in 1966. Skilts, opened in a sixteenth century manor in Redditch in 1958 was the last of Birmingham's open air schools to open. It was a mixed residential school which could accommodate 45 boys and girls aged between five and eleven. It is still functioning as a school now. Birmingham Archives and Heritage hold some records relating specifically to Haseley Hall and Marsh Hill open air schools and some more general records.